Graph Tech Supercharger Kits combine several performance-enhancing products into one convenient package, including a TUSQ 3/32" compensated saddle, a set of TUSQ traditional size bridge pins, two grits of sandpaper to fine tune the fit and a Graph Tech guitar pick. This kit fits Martin, some vintage Fender, Yamaha and other style guitars. TUSQ saddles and bridge pins are designed for consistent quality and maximum vibration transfer. They provide rich tone and sustain, transferring the right frequencies more efficiently from the string to the guitar body. 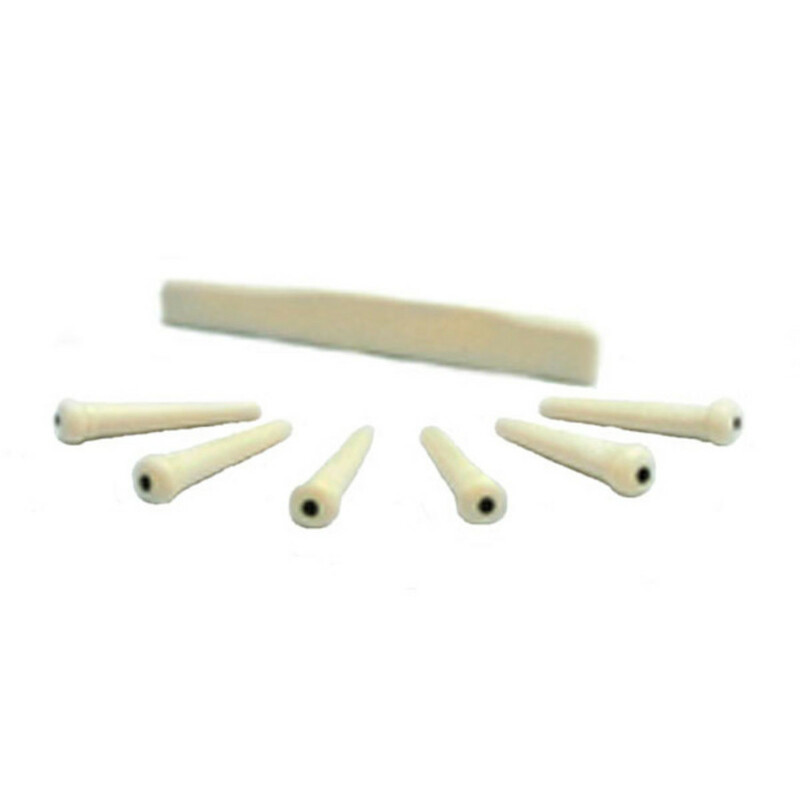 They are also easy to work with, and can be filed or sanded to fit your instrument perfectly without chipping or flaking. Used by the world's finest guitar manufacturers, TUSQ saddles and bridge pins are an excellent way to upgrade your guitar.